About Us - Telstar Hydraulics Ltd.
Telstar Hydraulics Ltd. Here you will find the finest standard and custom made hydraulic adapters in both carbon steel and stainless steel. Our extensive stock of adapters includes, Inch, Metric, BSPP/BSPT, Komatsu, JIS and French Gaz, to name a few. We stock sizes from 1/8″ to 2″ in most configurations. If we can not buy these adapters at reasonable prices, we will manufacture them. Telstar is a Master Distributor of Gates Hydraulic hose and fittings. We are able to supply the hoses that you require in virtually all pressure ranges. We stock air hose, suction hose and pressure hose in one wire, and two wire braid, as well as four wire, five wire, and six wire spiral hose. We can crimp fittings up to 2″ six wire. 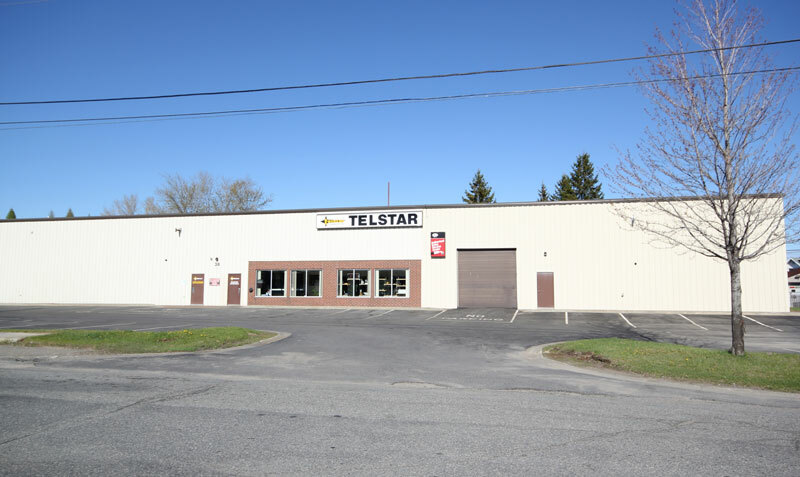 At Telstar, it’s not just supplying hoses, but we can help you protect them as well. Telstarap is a polyethylene spiral cut hose wrap with built in properties that give it memory to keep from bunching up or leapfrogging. These properties also keep it flexible in the cold and won’t allow sag in the heat. Telstarap can be used to protect hoses, cables or wiring from wear due to abrasion. Since Telstarap is spiral cut, it can be applied to individual or bundles of hoses while they are on the machine. The spiral cut allows hoses to enter or exit the wrap at any point. Wear is not the only thing that can damage your hoses. Excessive heat can also damage hoses. Telstar Insulrap sleeving can help to eliminate this problem. The Telstar Insulrap line of products will help to protect your equipment from fire, and from other causes as well. At Telstar, we custom build insulating covers and blankets for hot exhaust systems as well as firewall blankets to help protect the operators from excessive heat from the engine compartments. Our commitment at Telstar is to provide quality products that will keep our customers equipment operational as long as possible. Everyone knows that one of the biggest costs incurred in the Mining, Forestry and Construction Industry is downtime due to equipment failure. We feel that our products will help to reduce this expense.